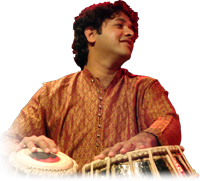 Nitin is one of the most sought after tabla players in the music world and has quickly established a reputation as an artist with a rare combination of technical virtuosity, spontaneity, clarity of tone, and sensitivity to melodic nuance. He is an acclaimed accompanist who has performed with some of India’s most celebrated musicians including Pandit Jasraj, Pandits Rajan and Sajan Mishra, Pandit Vishwa Mohan Bhatt, Ustad Nishat Khan, Ustad Shahid Parvez and Pandit Nayan Ghosh. He has also made a mark as a versatile musician in other spheres, his most recent collaboration with 2010 Grammy Nominee Vijay Iyer and Guitarist Prasanna on their new Album titled "Tirtha". 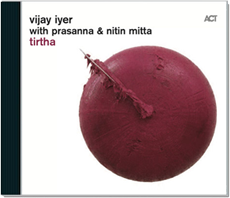 Nitin is proud to announce the release of his new album “Tirtha,” in collaboration with pianist Vijay Iyer and guitarist Prasanna, to create a unique trio which blends elements of contemporary jazz with the North and South Indian traditional ragas and compositions. Tirtha has its CD release concerts in New York at the Asia Society on April 1st and 2nd followed by their European Tour. See the Shows Page for details. The album is released through the ACT Music & Vision label and is available now on Amazon, iTunes, and other music retailers.